Gabe Evens is a jazz pianist, educator and composer that is dedicated to the past and present language of jazz. Evens and his trio, Lynn Seaton on acoustic bass and Ed Soph on drums, continue to keep the music going for future generations. Evens CD, The Wrong Waltz, finds the pianist composing ten original compositions for the trio to have in-depth musical conversations. Evens is an intensely buoyant presence in the music, with his articulated right hand, melodic structures and his colorful harmonies, The Gabe Evens Trio will certainly please any aficionado! “Stand at the Front of Your Mat” finds the trio in a funky swing setting with Evens digging in and striking a perfect balance between blues, bop and post-bop linear patterns. However, Evens is just as good at playing in the spaces, and maturity of playing is what makes him special. The harmonies of the track are familiar in progression, but Evens voicings give them life and movement. Evens lyrical playing and interaction with Seaton and Soph is full of the fundamental values of jazz trio playing. “Keep Your Head Down” is a wonderful multi-layered composition that finds the trio in a straight eight setting with nice rhythmic shifts. Evens approaches his solo playing with a full-bodied sound and in an unpretentious manner, letting the music direct the mood and intensity. The trio builds though, Evens solo has a very satisfying shape as it seamlessly segues back into the melody before moving to a closing statement. The trio can swing! The title track finds the trio in a swing waltz setting that features a swiftly moving Evens melody, that is boppish in nature. Evens’ interaction with the trio is again outstanding, these guys listen and interact deeply. Evens creates confidently played and artfully shaped melodies that are musical and full of energy and heart from his nimble piano playing fingers! A solid trio outing, with three venerable players, adds up to a satisfying listen and an enjoyable outing. Well done! 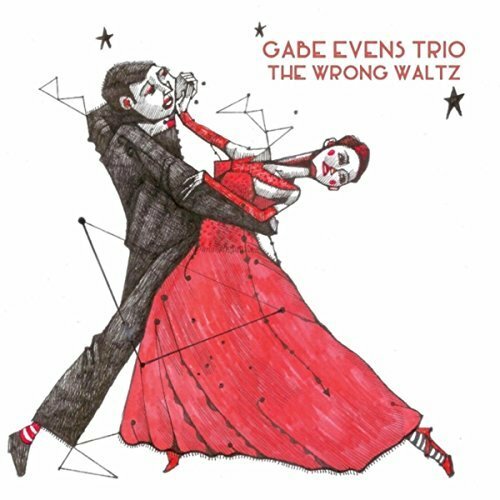 Be the first to comment on "Gabe Evens | The Wrong Waltz"